All wars are different yet all wars are the same. No matter which politicians garner credit or blame, regardless of which officers get promoted and which discredited, what territory is gained or lost, front- line servicemen and women always bear the direct risk. As do their families. Fifty years on from the events he describes, Vietnam veteran and historian, Greg Lockhart, has written at length about his war and particularly about what buried mines did to soldiers in Vietnam. His article, The Minefield (attached as a pdf) was first published in the magazine Heat 12, Second Series, 2006, and is republished here with permission. Another version of the article appeared in Japan Focus in 2007. In 2007, Lockhart published his book The Minefield: An Australian Tragedy in Vietnam. He backgrounded the book here (in a piece tellingly titled ‘Barrier thinking’) and it was reviewed in The Age by historian of the RAAF, Alan Stephens. Stephens said: ‘The contextual breadth of Lockhart’s scholarship makes many of the official histories produced by the Australian War Memorial at great expense to taxpayers seem one-dimensional’. There was also a documentary film, Vietnam Minefield. 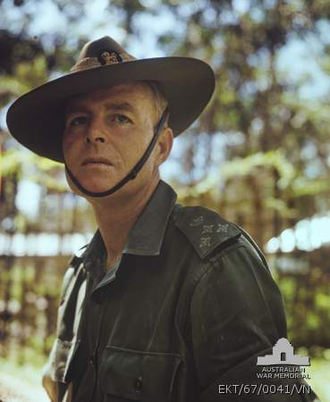 Lockhart tells ‘a story of strategic self-destruction’, the decision by Australian Brigadier Stuart Graham (commander of the 1st Australian Task Force, 1ATF) in May-June 1967 to establish ‘a barrier fence and minefield’ to protect Phuoc Tuy province against incursions from North Vietnamese regulars and National Liberation Front forces. Lockhart explains the dangerous technology of mines and minefields; five Australian soldiers were killed and six wounded in two months in 1967 while laying the mines. Virtually all 1ATF M16 mine casualties occurred in the vicinity of the 1ATF minefield in Long Dat District. A conservative estimate is that between May 1967 and November 1971 fifty-five 1ATF soldiers (including five New Zealanders) were killed and some 250 dismembered and wounded (including thirteen New Zealanders) on M16 mines that had their origins in the ‘barrier minefield’. 1ATF records also indicate that a further forty-two allied soldiers and civilians – overwhelmingly Vietnamese but some Americans – were killed and 172 were injured, many seriously, in the same period. While 1ATF M16 mine casualty figures alone were about 10 per cent of all Australian casualties in the war, this understates the impact on 1ATF, army personnel in Phuoc Tuy. Lockhart estimates that between May 1969 and May 1970, ‘stolen’ former Australian M16 mines accounted for over 50 per cent of 1ATF casualties, and up to 80 per cent during one period in mid-1969. At some point Private Kevin Coles, who was near the rear of the first section, moved off his rock [and] stepped on an M16 that jumped. 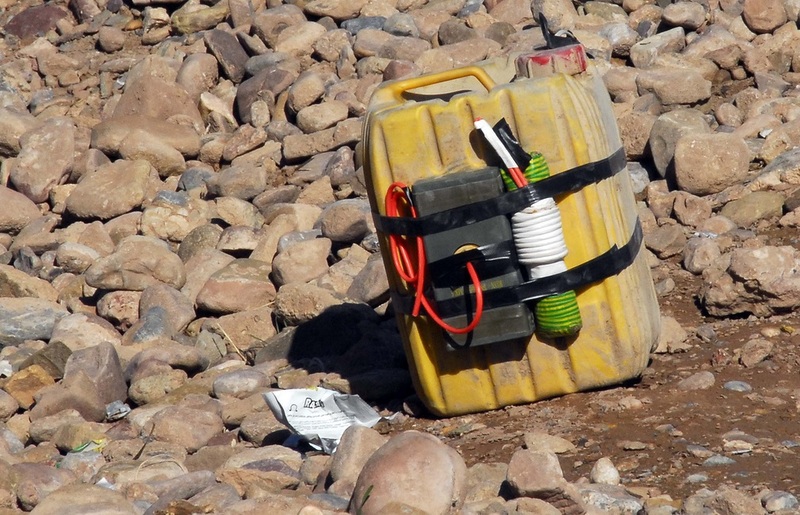 The mine instantly killed him … [His] smouldering body later flickered into flames … [which] presented some danger because of the possibility that it might generate enough heat to detonate the grenades and ammunition attached to it. At some point, Walker, carrying a fire extinguisher that had been lowered from an RAAF Iroquois helicopter, bravely crossed a stretch of uncleared ground to get to the burning body. Lockhart argues that Graham’s barrier strategy arose from a fundamental misunderstanding of the nature of the war in Vietnam, one shared with other more senior officers. Graham saw the war in terms of building barriers against external aggression when, in fact, the enemy was as much ‘all around him’ as it was beyond the barrier and the mines. Nor did Graham have sufficient troops to guard the minefield. The Minefield is a magnificent piece of writing – disciplined, resonant, desperately sad and yet also strangely uplifting. I had no idea – and it gave me a better insight into what went on in Vietnam than anything else I can think of. It really is that good. And its larger context is articulated so beautifully too. Understatement may sometimes appear perilous – but not here. Edmond made the point that the understatement in Lockhart’s work increases its impact. Implicit in Lockhart’s work also are the Vietnam lessons that could have been learned and applied in Afghanistan and Iraq, where improvised explosive devices (IEDs) have been the equivalent of the minefields of Vietnam. (The big difference, of course, being that IEDs in these theatres were not made up of ordinance stolen from Allied forces.) The men (and some women) affected by IEDs have spoken at Dawn Services (Curtis McGrath in 2017), competed in the Invictus games with the encouragement of Prince Harry and Australian Minister Tehan, and been photographed by Bryan Adams for a remarkable book, Wounded: The Legacy of War (2014). What injured me on the 23rd August 2012 [said Sapper McGrath at the Dawn Service], has taken thousands of limbs and lives before me: many civilian, and too many, unwitting young kids. Organisations like Soldier On, Mates4Mates and Remount offer rehabilitation and other programs for affected service people and they welcome donations. One can only marvel that more public money is not channeled towards this work, rather than to extravagances like the Monash museum, rising from the green fields of Northern France at a cost of $A100 million. For more on Honest History on Vietnam use our Search engine.